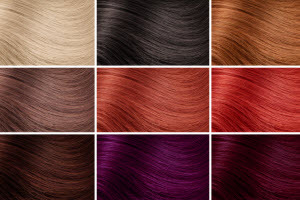 If you’re up for a totally new healthy and vibrant look, why not explore our fashion forward Hair Color Trends. In fact, we invite you to become an INSIDER where you’ll find the latest styling tips with a behind-the-scenes peek at the latest in natural-looking, transformational beauty created by the supremely talented, award- winning designer Diana Pagan. Interestingly enough, what we’re seeing in terms of Spring into Fall 2015 Hair Color Trends is the skillful transformation and versatility of fashion forward beauty looks. To cite one example, there’s the elegant May issue of Vogue with Emilia Clarke gracing the cover. In reality, she is a natural and beautiful brunette, but she has achieved tremendous popularity with her fans as a wistful platinum blonde – take a peek at the Vogue cover, and you’ll see exactly what we mean. Making the change from brunette to blonde can be challenging to say the least since there are so many details to take into consideration such as the condition of your hair, the desired shade of blond, and your skin tone, etc. What this tells us is that with the right artistic vision, color and inspirational style, a highly skilled designer can achieve this type of dramatic new look. There’s one other little update tip when trying to achieve a brunette to blonde transformation. This involves the brown (NOT grey) roots of your hair that need to show just a touch. If there’s too much of a grey/brown mix that can easily be corrected, but it definitely involves extra work to make it happen. Other trending favorites include styles with chic short bobs that are asymmetrical in design. They are very popular and easy to care for regardless of your lifestyle. We again invite you to join us as an INSIDER. And, if you’d like to speak directly with Diana, please call. She loves to chat and offer consultations. Least we forget, when you make an appointment you’ll also be able to enjoy being pampered by Diana Pagan with a one-on-one approach custom tailored for each client. She draws upon a wealth of knowledge based on her extensive European and American experience and training. That’s the only way she approaches hair and beauty designs for both men and women because it’s who she is. She also loves creating hair styles for the little ones too, so feel free to discuss this with her if it’s a fit. Call 404.454.5260 for an appointment today. If you’re in the neighborhood, or just passing by, come see us our Dunwoody Hair Salon in the charming and friendly suburbs of Atlanta. We always have a cup of delicious brewing, or perhaps a glass of fine wine.